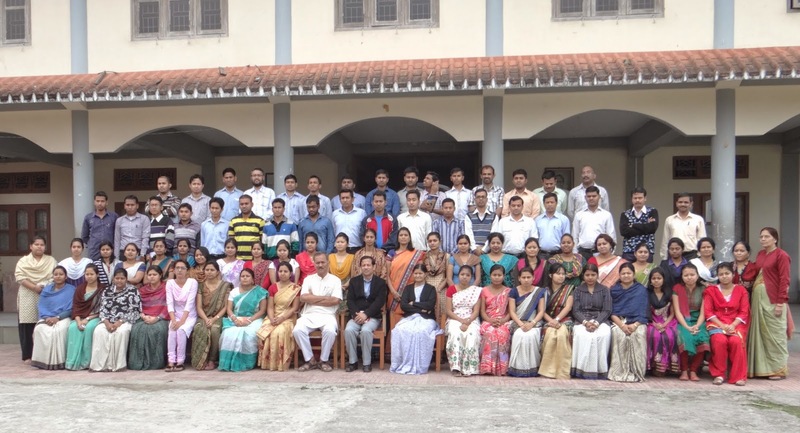 An interaction program was organized for the students of Class XI and XII on 7th September, 2015 in the school auditorium from 9:30 am onwards with Sri P.C.Parakh, former secretary Ministry of Coal, GOI. The Principal of the school read out a brief school report on the different activities of Vivekananda Kendra, Kanyakumari to have a glimpse of the work what Mananeeya Eknathji Ranade has laid down with a hope of mankind and nation building. Dr. Shrithidhar Dutta, Chairman of VKV Dibrugarh, felicitated him with a fullam gamusa and a book on Eknathji. Sri Parakh spoke to the students with great enthusiasm and patience. After his address, a brief interaction programme was organized with the students where students asked questions on his life and his work.